Dystonia is a disabling neurological syndrome that can produce involuntary, sustained or spasmodic movements and abnormal postures [1Albanese A, Bhatia K, Bressman SB, et al. Phenomenology and classification of dystonia: a consensus update. Mov Disord 2013; 28(7): 863-73. [http://dx.doi.org/10.1002/mds.25475] [PMID: 23649720] , 2Stahl CM, Frucht SJ. Focal task specific dystonia: a review and update. J Neurol 2017; 264(7): 1536-41. [http://dx.doi.org/10.1007/s00415-016-8373-z] [PMID: 28039522] ]. The pathophysiology of dystonia is complex and it seems likely that dysfunction in the basal ganglia or linked central pathways leads to abnormal motor output from the central nervous system. Complex movements, such as writing or playing the piano, can be particularly affected. Focal Hand Dystonia (FHD) manifests as a loss of motor control while performing a specific skilled repetitive hand action (e.g. musician’s dystonia, writer's cramp). Such movements require exquisite motor control with excitatory and inhibitory signals controlling appropriate muscle contractions whilst simultaneously relaxing surrounding muscles. This “surround inhibition” is abnormal in patients with dystonia with both agonist and antagonist muscles in a limb segment co-contracting [3Madeo G, Pisani A. Handbookof Behavioral Neuroscience.Elsevier 2017; 929-50.]. Botulinum Toxin (BTX) may help patients with dystonia by weakening specific overactive muscles, but there is often a fine balance between making a muscle too weak and not weakening it enough. While the use of BTX in other types of dystonia such as cervical dystonia is supported by a larger evidence base with respect to efficacy, evidence reviews for the use of BTX as a treatment for FHD are limited [4Pirio Richardson S, Altenmüller E, Alter K, et al. Research Priorities in Limb and Task-Specific Dystonias. Front Neurol 2017; 8: 170. [http://dx.doi.org/10.3389/fneur.2017.00170] [PMID: 28515706] , 5Hallett M, Albanese A, Dressler D, et al. Evidence-based review and assessment of botulinum neurotoxin for the treatment of movement disorders. Toxicon 2013; 67: 94-114. [http://dx.doi.org/10.1016/j.toxicon.2012.12.004] [PMID: 23380701] ]. An up-to-date knowledge synthesis on the use of BTX for FHD has the potential to impact clinical decision making and guideline development. 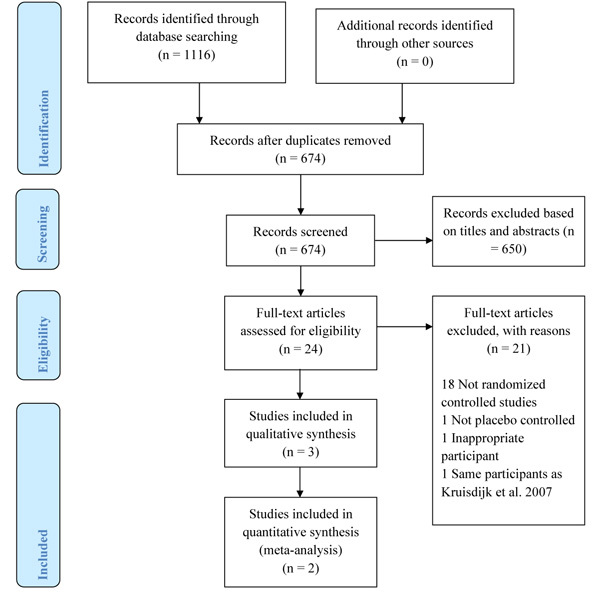 This systematic review followed the recommendations outlined in the Preferred Reporting Items for Systematic Reviews and Meta-Analyses (PRISMA) statement [6Moher D, Liberati A, Tetzlaff J, Altman DG. Preferred reporting items for systematic reviews and meta-analyses: the PRISMA statement. PLoS Med 2009; 6(7): e1000097. [http://dx.doi.org/10.1371/journal.pmed.1000097] [PMID: 19621072] ]. The search strategy included a combination of controlled vocabulary terms (e.g., Medical Subject Headings (MeSH) and keywords representing the concepts of “hand dystonia” and “botulinum toxin”. The full search strategy for all the databases searched is available in Appendix A of this publication. A search filter was applied for RCTs and to reduce retrieval of animal studies, when feasible. No language, date, or other limits were applied in the electronic database searches. Additional references were identified in the following ways: by hand-searching reference lists of all included studies as well as pertinent review articles; by forward citation searching in Scopus to find studies citing any of the included articles; and by searching conference proceedings for abstracts, posters and presentations on FHD and BTX treatment. Results were exported to the RefWorks citation management system [7ProQuest, LLC 2008 [cited October 10, 2017]www.refworks.com/refworks2/] and subsequently imported into Covidence [8Covidence 2015 [cited October 15, 2017]www.covidence.org], which was used for deduplication, as well as title/abstract, and full-text screening. Three authors (DA, AD, and HA) duplicated the title/abstract and full-text screening; while data extraction was performed in duplicate by CG, DG, and HA. Disagreements would have been resolved by SS. For the assessment of risk of bias, all eligible trials were assessed using a three-item, five-point scale, the Oxford Quality Scale [9Jadad AR, Moore RA, Carroll D, et al. Assessing the quality of reports of randomized clinical trials: is blinding necessary? Control Clin Trials 1996; 17(1): 1-12. [http://dx.doi.org/10.1016/0197-2456(95)00134-4] [PMID: 8721797] ], that considers randomization, blinding, study withdrawals and dropouts, and a consensus score was agreed upon. Each study was assessed in duplicate (CG, DG and HA). Disagreements were resolved by SS. Our searches yielded 1,116 publications from the databases searched with 674 publications remaining after deduplication. No additional references were identified from other sources. Applying the eligibility criteria to the titles and abstracts screened resulted in 24 articles left for full-text evaluation. Ultimately, three studies [10Tsui JK, Bhatt M, Calne S, Calne DB. Botulinum toxin in the treatment of writer’s cramp: a double-blind study. Neurology 1993; 43(1): 183-5. [http://dx.doi.org/10.1212/WNL.43.1_Part_1.183] [PMID: 8423882] -12Kruisdijk JJ, Koelman JH, Ongerboer de Visser BW, de Haan RJ, Speelman JD. Botulinum toxin for writer’s cramp: a randomised, placebo-controlled trial and 1-year follow-up. J Neurol Neurosurg Psychiatry 2007; 78(3): 264-70. [http://dx.doi.org/10.1136/jnnp.2005.083170] [PMID: 17185301] ] met our inclusion criteria. Fig. (1) shows the PRISMA flow diagram. The publications excluded at the full-text stage and the reasons for exclusion are presented in Appendix B. As regards the included studies, two used a cross-over design and one used a parallel-group design. A total of 69 participants were involved in the three trials which included 31 women and 38 men. The evidence identified pertains to focal task-specific hand dystonias. Two of the studies were limited to participants who had been diagnosed with Writer’s Cramp (WC), and overall the majority (94%) of the participants had WC. The mean duration of symptoms in the participants was 7.5 years. Table 1 details the study designs and demographic characteristics of participants. One study was given an Oxford Quality Scale score of 5/5 and two studies a score of 3/5. Tsui et al. [10Tsui JK, Bhatt M, Calne S, Calne DB. Botulinum toxin in the treatment of writer’s cramp: a double-blind study. Neurology 1993; 43(1): 183-5. [http://dx.doi.org/10.1212/WNL.43.1_Part_1.183] [PMID: 8423882] ] was given an overall quality score of 3/5 (1 point for randomization, 1 for blinding, 1 for description of dropouts). Similarly, Cole et al. [11Cole R, Hallett M, Cohen LG. Double-blind trial of botulinum toxin for treatment of focal hand dystonia. Mov Disord 1995; 10(4): 466-71. [http://dx.doi.org/10.1002/mds.870100411] [PMID: 7565828] ] scored 3/5 (1 for randomization, 1 for blinding, and 1 for description of dropouts) and Kruisdijk et al. [12Kruisdijk JJ, Koelman JH, Ongerboer de Visser BW, de Haan RJ, Speelman JD. Botulinum toxin for writer’s cramp: a randomised, placebo-controlled trial and 1-year follow-up. J Neurol Neurosurg Psychiatry 2007; 78(3): 264-70. [http://dx.doi.org/10.1136/jnnp.2005.083170] [PMID: 17185301] ] achieved a maximum score of 5/5. Table 2 shows the muscles targeted, BTX dosages used, the outcome assessments employed, and the main results of the included studies. Identification of muscles to be injected was undertaken clinically in all the three trials and supplemented by Electromyographic (EMG) assessment in two [10Tsui JK, Bhatt M, Calne S, Calne DB. Botulinum toxin in the treatment of writer’s cramp: a double-blind study. Neurology 1993; 43(1): 183-5. [http://dx.doi.org/10.1212/WNL.43.1_Part_1.183] [PMID: 8423882] , 11Cole R, Hallett M, Cohen LG. Double-blind trial of botulinum toxin for treatment of focal hand dystonia. Mov Disord 1995; 10(4): 466-71. [http://dx.doi.org/10.1002/mds.870100411] [PMID: 7565828] ] of the three studies. The study authors used intramuscular injections of BTX-A or equal volumes of saline in all the trials. Doses of BTX-A varied between the participants depending on the selection and number of muscles. Generally, participants were assessed prior to the intervention, and at two weeks to one-month post-intervention, or when any treatment effect had worn off. The authors of the studies used a combination of self-report by the participants and functional performance measurements. Different self-report questions were used. Tsui et al. [10Tsui JK, Bhatt M, Calne S, Calne DB. Botulinum toxin in the treatment of writer’s cramp: a double-blind study. Neurology 1993; 43(1): 183-5. [http://dx.doi.org/10.1212/WNL.43.1_Part_1.183] [PMID: 8423882] ] asked participants to report whether they noticed any changes in writing, which was scored as follows: -1 = worse; 0 = no change; 1 = improvement; and 2 = dramatic improvement. Cole et al. [11Cole R, Hallett M, Cohen LG. Double-blind trial of botulinum toxin for treatment of focal hand dystonia. Mov Disord 1995; 10(4): 466-71. [http://dx.doi.org/10.1002/mds.870100411] [PMID: 7565828] ] requested participants to complete a questionnaire about the amount of improvement of their muscles at the time of each assessment, using a categorical scale (major, moderate, minimal, or none), and a Visual Analog Scale (VAS). The VAS ranged from 0 (no improvement) to 10 cm (return to normal). Kruisdijk et al. [12Kruisdijk JJ, Koelman JH, Ongerboer de Visser BW, de Haan RJ, Speelman JD. Botulinum toxin for writer’s cramp: a randomised, placebo-controlled trial and 1-year follow-up. J Neurol Neurosurg Psychiatry 2007; 78(3): 264-70. [http://dx.doi.org/10.1136/jnnp.2005.083170] [PMID: 17185301] ] used the participants’ answers to the following question as their primary outcome measure: “Considering all advantages and disadvantages of this treatment, is the improvement such that you wish to continue this treatment or not?” Functional performance measures included videotape analysis of writing samples, speed and accuracy of pen control, Gibson’s maze assessment [13Mally J, Gresty M, Findley L. Assessing the impact of essential tremors on upper limb function. J Neurol 1993; 241: 54-61. [http://dx.doi.org/10.1007/BF00870673] [PMID: 8138823] ] (a spiral maze in which the participant is asked to trace the path in the maze from the center and work spirally outward with the pen as quickly as possible), Symptom Severity Scale (SSS) [14Atroshi I, Breidenbach WC, McCabe SJ. Assessment of the carpal tunnel outcome instrument in patients with nerve-compression symptoms. J Hand Surg Am 1997; 22(2): 222-7. [http://dx.doi.org/10.1016/S0363-5023(97)80155-4] [PMID: 9195418] ], Functional Status Scale (FSS) [14Atroshi I, Breidenbach WC, McCabe SJ. Assessment of the carpal tunnel outcome instrument in patients with nerve-compression symptoms. J Hand Surg Am 1997; 22(2): 222-7. [http://dx.doi.org/10.1016/S0363-5023(97)80155-4] [PMID: 9195418] ], and Writer’s Cramp Rating Scale (WCRS) [15Wissel J, Kabus C, Wenzel R, et al. Botulinum toxin in writer’s cramp: objective response evaluation in 31 patients. J Neurol Neurosurg Psychiatry 1996; 61(2): 172-5. [http://dx.doi.org/10.1136/jnnp.61.2.172] [PMID: 8708685] ]. The specific scales used for functional performance assessments varied considerably between the three trials. Tsui et al. [10Tsui JK, Bhatt M, Calne S, Calne DB. Botulinum toxin in the treatment of writer’s cramp: a double-blind study. Neurology 1993; 43(1): 183-5. 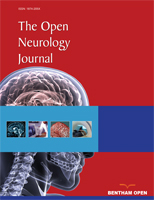 [http://dx.doi.org/10.1212/WNL.43.1_Part_1.183] [PMID: 8423882] ] undertook a randomized controlled cross-over trial of 20 participants with WC. They used three functional performance tests and the authors reported statistically significant improvement in the BTX-A treated participants in pen speed and accuracy, in three out of four movement directions at two weeks, using a digitized pad. The study authors did not specify how the statistical analysis was performed and none of the placebo group results were reported in the paper. The authors did not respond to our email enquiry regarding this matter. Performance in the Gibson’s maze task improved significantly in 9/20 participants (45%) for speed, and 7/20 participants (35%) for accuracy with BTX-A. Writing speed improved in 7/20 participants (35%) and the writing was more legible in 4/20 participants (20%), but no statistical testing was reported. Intervention, assessment and main results of selected studies. Cole et al. [11Cole R, Hallett M, Cohen LG. Double-blind trial of botulinum toxin for treatment of focal hand dystonia. Mov Disord 1995; 10(4): 466-71. [http://dx.doi.org/10.1002/mds.870100411] [PMID: 7565828] ] performed a randomized cross-over trial of 10 participants comparing BTX-A with saline injections at two to four weeks post-injection. These were highly selected participants in that they came from the study authors’ existing clinic population and were patients “who stated that they had a definite subjective response to open-label treatment with BTX-A”, and, furthermore, whose dose of BTX-A had been optimized already. This study, therefore, is a complete enriched enrolment trial [16Straube S, Derry S, McQuay HJ, Moore RA. Enriched enrollment: definition and effects of enrichment and dose in trials of pregabalin and gabapentin in neuropathic pain. A systematic review. Br J Clin Pharmacol 2008; 66(2): 266-75. [http://dx.doi.org/10.1111/j.1365-2125.2008.03200.x] [PMID: 18489 611] ]. The washout period varied from two weeks to four months depending on whether the “patient and physician determined that the [prior] injection might have had some effect”. None of the results from any of the outcomes of the trial (either subjective feeling of ‘improvement’ by the patient or the objective measures of changes in muscle strength, writing speed, transcription speed, physician rating of motor performance of all participants and rating of musical performances by professors of music who were blinded to the treatment groups) were subjected to statistical analysis and the results were therefore purely descriptive. Manual muscle testing using the Medical Research Council (MRC) scale [17Aids to the investigation of peripheral nerve injuries.Her Majesty’s stationery office 1941.] found that 7/10 participants (70%) were weaker when injected with BTX-A compared to placebo and 2/10 participants (20%) were weaker with placebo than with BTX-A. For participants with WC, the time required to write a standard paragraph was recorded, and errors of writing “off-the-line” were counted and used for objective assessment. Four out of six participants (67%) with WC wrote faster after BTX-A, and 2/3 participants (67%) who wrote “off the line” improved after BTX-A injection. One participant who was only able to print after placebo could write a standard paragraph in longhand after BTX-A. Two stenographers did not reduce their transcription error rate after BTX-A. Two musicians judged by a panel of professors of music were thought to give better performances after BTX-A injections. The study authors found that 9/10 participants (“90%” stated in results table but the study authors reported “80%” in the article text) improved in self-rated assessments with 4/10 participants (40%) rating the improvement as major two weeks after BTX-A injections. With placebo, 4/10 participants (40%) still responded positively, with 1/10 participant (10%) noting major improvement. Generally, the authors of this study indicated that 5/10 participants (50%) performed better after BTX-A injections during functional performance testing. One participant was weaker, wrote faster and performed better with placebo injection. Overall 8/10 BTX-A participants (80%) reported improvement and 4/10 participants (40%) receiving placebo injections reported benefit. Kruisdijk et al. [12Kruisdijk JJ, Koelman JH, Ongerboer de Visser BW, de Haan RJ, Speelman JD. Botulinum toxin for writer’s cramp: a randomised, placebo-controlled trial and 1-year follow-up. J Neurol Neurosurg Psychiatry 2007; 78(3): 264-70. [http://dx.doi.org/10.1136/jnnp.2005.083170] [PMID: 17185301] ] compared BTX-A treated WC participants to placebo. Some of the participants involved in this trial also had electrophysiological measurements that Contarino et al. [18Contarino MF, Kruisdijk JJ, Koster L, Ongerboer de Visser BW, Speelman JD, Koelman JH. Sensory integration in writer’s cramp: comparison with controls and evaluation of botulinum toxin effect. Clin Neurophysiol 2007; 118(10): 2195-206. [http://dx.doi.org/10.1016/j.clinph.2007.07.004] [PMID: 17709294] ] reported elsewhere. The primary outcome measure for this study was the participants’ answers to the following question: “Considering all advantages and disadvantages of this treatment, is the improvement such that you wish to continue this treatment or not?” The study authors found that 14/20 participants (70%) in the BTX-A group wished to continue treatment versus 6/19 participants (32%) in the placebo group (p=0.03). The study authors used an unpaired t-test to analyze the mean difference for functional performance measures which was calculated by subtracting the change in baseline to eight weeks with placebo from the change in baseline to eight weeks with BTX-A treatment. They reported a significant mean difference which was better with BTX-A regarding SSS, WCRS, writing speed (lines) and VAS for handwriting. The mean difference in the FSS was not significant. A subgroup analysis showed no evidence of treatment difference between the subgroups of participants with simple versus complex WC. The study authors reported that 20/39 participants (51%) received treatment for a year after completion of the study because of its benefit. Writing speed was used in all three trials for assessing the participants. In Tsui et al. [10Tsui JK, Bhatt M, Calne S, Calne DB. Botulinum toxin in the treatment of writer’s cramp: a double-blind study. Neurology 1993; 43(1): 183-5. [http://dx.doi.org/10.1212/WNL.43.1_Part_1.183] [PMID: 8423882] ] the time is taken to complete copying a standard passage and the number of words per minute was apparently recorded but was not presented in that publication. They noted that writing speed improved in 7/20 participants (35%). The writing samples from the participants were randomized and given to a “blinded” physician for scoring on a scale of 0 to 3 (0 = totally illegible; 1 = some words illegible; 2 = all words legible, some with difficulty; and 3 = all words easily legible). In the study by Cole et al. [11Cole R, Hallett M, Cohen LG. Double-blind trial of botulinum toxin for treatment of focal hand dystonia. Mov Disord 1995; 10(4): 466-71. [http://dx.doi.org/10.1002/mds.870100411] [PMID: 7565828] ] participants with WC wrote a standard paragraph, and the time required for its completion was recorded. The study authors reported that 4/6 participants (67%) with WC wrote faster after the BTX-A injections. Though individual writing speeds of the participants were provided, a summary statistical analysis was not presented in the paper. Kruisdijk et al. [12Kruisdijk JJ, Koelman JH, Ongerboer de Visser BW, de Haan RJ, Speelman JD. Botulinum toxin for writer’s cramp: a randomised, placebo-controlled trial and 1-year follow-up. J Neurol Neurosurg Psychiatry 2007; 78(3): 264-70. [http://dx.doi.org/10.1136/jnnp.2005.083170] [PMID: 17185301] ] conducted a test of writing speed by measuring the number of lines of a standard text written within two minutes. The mean difference in the writing speed between placebo and BTX-A from baseline to 8 weeks was 1.14 lines (95% CI, 0.07 to 2.20, p=0.04), better with BTX-A. Two studies [11Cole R, Hallett M, Cohen LG. Double-blind trial of botulinum toxin for treatment of focal hand dystonia. Mov Disord 1995; 10(4): 466-71. [http://dx.doi.org/10.1002/mds.870100411] [PMID: 7565828] , 12Kruisdijk JJ, Koelman JH, Ongerboer de Visser BW, de Haan RJ, Speelman JD. Botulinum toxin for writer’s cramp: a randomised, placebo-controlled trial and 1-year follow-up. J Neurol Neurosurg Psychiatry 2007; 78(3): 264-70. [http://dx.doi.org/10.1136/jnnp.2005.083170] [PMID: 17185301] ] were included in our meta-analysis (Tsui et al. [10Tsui JK, Bhatt M, Calne S, Calne DB. Botulinum toxin in the treatment of writer’s cramp: a double-blind study. Neurology 1993; 43(1): 183-5. [http://dx.doi.org/10.1212/WNL.43.1_Part_1.183] [PMID: 8423882] ] did not report results in the placebo group and therefore could not be included in the meta-analysis). Combining the results of the self-rated improvements in these studies showed that the pooled effect estimate was not significantly different from placebo (p = 0.07) Fig. (2). Muscle weakness after BTX-A injections was noted in participants in all three trials. In the trial by Tsui et al. [10Tsui JK, Bhatt M, Calne S, Calne DB. Botulinum toxin in the treatment of writer’s cramp: a double-blind study. Neurology 1993; 43(1): 183-5. [http://dx.doi.org/10.1212/WNL.43.1_Part_1.183] [PMID: 8423882] ], all 20 participants who had BTX-A experienced muscle weakness. Seven out of 10 participants (70%) in the trial by Cole et al. [11Cole R, Hallett M, Cohen LG. Double-blind trial of botulinum toxin for treatment of focal hand dystonia. Mov Disord 1995; 10(4): 466-71. [http://dx.doi.org/10.1002/mds.870100411] [PMID: 7565828] ] had muscle weakness. Kruisdijk et al. [12Kruisdijk JJ, Koelman JH, Ongerboer de Visser BW, de Haan RJ, Speelman JD. Botulinum toxin for writer’s cramp: a randomised, placebo-controlled trial and 1-year follow-up. J Neurol Neurosurg Psychiatry 2007; 78(3): 264-70. [http://dx.doi.org/10.1136/jnnp.2005.083170] [PMID: 17185301] ] reported weakness in the hand in 18/20 participants (90%) in the BTX-A group and in 2/19 participants (11%) in the placebo group. In the study by Kruisdijk et al. [12Kruisdijk JJ, Koelman JH, Ongerboer de Visser BW, de Haan RJ, Speelman JD. Botulinum toxin for writer’s cramp: a randomised, placebo-controlled trial and 1-year follow-up. J Neurol Neurosurg Psychiatry 2007; 78(3): 264-70. [http://dx.doi.org/10.1136/jnnp.2005.083170] [PMID: 17185301] ] the authors reported that 1/20 participants (5%) in the BTX-A group and 3/19 participants (16%) in the placebo group reported pain at the injection site. Overall, 46/50 participants (92%) experienced weakness of the muscles injected, which appeared to be transient with spontaneous recovery. One participant, however, experienced weakness which lasted for eight days. Across the studies, 49 participants received placebo but results were only reported on 29 participants. Four of these 29 participants who received a placebo (14%) developed weakness. The study authors reported that the weakness and pain were temporary and participants recovered completely. Tsui et al. [10Tsui JK, Bhatt M, Calne S, Calne DB. Botulinum toxin in the treatment of writer’s cramp: a double-blind study. Neurology 1993; 43(1): 183-5. [http://dx.doi.org/10.1212/WNL.43.1_Part_1.183] [PMID: 8423882] ] noted that besides weakness in the participants who received BTX-A, no other adverse events or systemic adverse reactions were reported. Those participants who received placebo reported no adverse events. Cole et al. [11Cole R, Hallett M, Cohen LG. Double-blind trial of botulinum toxin for treatment of focal hand dystonia. Mov Disord 1995; 10(4): 466-71. [http://dx.doi.org/10.1002/mds.870100411] [PMID: 7565828] ] also reported that BTX-A was generally “safe to use”. Kruisdijk et al. [12Kruisdijk JJ, Koelman JH, Ongerboer de Visser BW, de Haan RJ, Speelman JD. Botulinum toxin for writer’s cramp: a randomised, placebo-controlled trial and 1-year follow-up. J Neurol Neurosurg Psychiatry 2007; 78(3): 264-70. [http://dx.doi.org/10.1136/jnnp.2005.083170] [PMID: 17185301] ] reported that only 1/20 participants (5%) on BTX-A and 3/19 participants (16%) on placebo had pain at the injection site. No serious adverse events were reported in any of the studies. None of the participants in any of the three studies was reported to have withdrawn from the trials. Study Selection [6Moher D, Liberati A, Tetzlaff J, Altman DG. Preferred reporting items for systematic reviews and meta-analyses: the PRISMA statement. PLoS Med 2009; 6(7): e1000097. [http://dx.doi.org/10.1371/journal.pmed.1000097] [PMID: 19621072] ]. Effect of BTX-A on hand function. The effect of BTX-A on hand function when compared to placebo was investigated using a random effects model. Tsui et al. (1993) did not report results in the placebo group and therefore these data could not be included in this meta-analysis. The events shown here represent self-reported benefit of BTX-A on hand function. BTX-A = Botulinum Toxin Subtype A; CI = Confidence Interval; M-H = Mantel-Haenszel test; df = degrees of freedom. This systematic review identified only three [10Tsui JK, Bhatt M, Calne S, Calne DB. Botulinum toxin in the treatment of writer’s cramp: a double-blind study. Neurology 1993; 43(1): 183-5. [http://dx.doi.org/10.1212/WNL.43.1_Part_1.183] [PMID: 8423882] -12Kruisdijk JJ, Koelman JH, Ongerboer de Visser BW, de Haan RJ, Speelman JD. Botulinum toxin for writer’s cramp: a randomised, placebo-controlled trial and 1-year follow-up. J Neurol Neurosurg Psychiatry 2007; 78(3): 264-70. [http://dx.doi.org/10.1136/jnnp.2005.083170] [PMID: 17185301] ] published articles that evaluated BTX for FHD in randomized, double-blind, placebo-controlled trials. Our primary outcome of interest in this systematic review was hand function, as measured by any validated hand function assessment at two weeks to two months post-treatment with BTX or placebo. In all three trials [10Tsui JK, Bhatt M, Calne S, Calne DB. Botulinum toxin in the treatment of writer’s cramp: a double-blind study. Neurology 1993; 43(1): 183-5. [http://dx.doi.org/10.1212/WNL.43.1_Part_1.183] [PMID: 8423882] -12Kruisdijk JJ, Koelman JH, Ongerboer de Visser BW, de Haan RJ, Speelman JD. Botulinum toxin for writer’s cramp: a randomised, placebo-controlled trial and 1-year follow-up. J Neurol Neurosurg Psychiatry 2007; 78(3): 264-70. [http://dx.doi.org/10.1136/jnnp.2005.083170] [PMID: 17185301] ] the participants were evaluated within this primary time frame. Validated measures of hand function were used in two [10Tsui JK, Bhatt M, Calne S, Calne DB. Botulinum toxin in the treatment of writer’s cramp: a double-blind study. Neurology 1993; 43(1): 183-5. [http://dx.doi.org/10.1212/WNL.43.1_Part_1.183] [PMID: 8423882] , 12Kruisdijk JJ, Koelman JH, Ongerboer de Visser BW, de Haan RJ, Speelman JD. Botulinum toxin for writer’s cramp: a randomised, placebo-controlled trial and 1-year follow-up. J Neurol Neurosurg Psychiatry 2007; 78(3): 264-70. [http://dx.doi.org/10.1136/jnnp.2005.083170] [PMID: 17185301] ] of the three trials. Tsui et al. [10Tsui JK, Bhatt M, Calne S, Calne DB. Botulinum toxin in the treatment of writer’s cramp: a double-blind study. Neurology 1993; 43(1): 183-5. [http://dx.doi.org/10.1212/WNL.43.1_Part_1.183] [PMID: 8423882] ] used Gibson’s maze as a validated measure of improvement in hand function. They noted that the errors made and the time to complete the maze improved from the baseline to two weeks and then at six weeks following BTX-A treatment. This improvement was found to be significant (p<0.01). No participant improved on placebo treatment with Gibson’s maze assessment. Kruisdijk et al. [12Kruisdijk JJ, Koelman JH, Ongerboer de Visser BW, de Haan RJ, Speelman JD. Botulinum toxin for writer’s cramp: a randomised, placebo-controlled trial and 1-year follow-up. J Neurol Neurosurg Psychiatry 2007; 78(3): 264-70. [http://dx.doi.org/10.1136/jnnp.2005.083170] [PMID: 17185301] ] used the WCRS, also a validated measure, scored on a scale from 0 to 16 points, to compare BTX-A treatment and placebo from baseline to eight weeks of treatment; they reported significant improvement in the WCRS, with a mean difference of -1.51 points (95% CI, -2.55 to -0.47, p < 0.01) in favor of BTX-A. The FSS and the SSS have been validated for use in carpal tunnel syndrome, but to our knowledge, neither these tools nor the VAS have been validated specifically for FHD. Cole et al. [11Cole R, Hallett M, Cohen LG. Double-blind trial of botulinum toxin for treatment of focal hand dystonia. Mov Disord 1995; 10(4): 466-71. [http://dx.doi.org/10.1002/mds.870100411] [PMID: 7565828] ] used other dystonia inducing tasks and measured the improvement in hand function, but as far as we know, these measures have also not been validated. None of the publications reported on validated measures of hand function at two months to six months post-treatment. Another secondary outcome, reduction in symptoms associated with FHD, was investigated as part of this systematic review. Tremor and myoclonus were not described as characteristics of FHD in any participant pre-treatment. It should be noted that a reduction in pain may have been represented in the participant’s subjective assessments, but this was only explicitly described by Tsui et al. [10Tsui JK, Bhatt M, Calne S, Calne DB. Botulinum toxin in the treatment of writer’s cramp: a double-blind study. Neurology 1993; 43(1): 183-5. [http://dx.doi.org/10.1212/WNL.43.1_Part_1.183] [PMID: 8423882] ] and Kruisdijk et al. [12Kruisdijk JJ, Koelman JH, Ongerboer de Visser BW, de Haan RJ, Speelman JD. Botulinum toxin for writer’s cramp: a randomised, placebo-controlled trial and 1-year follow-up. J Neurol Neurosurg Psychiatry 2007; 78(3): 264-70. [http://dx.doi.org/10.1136/jnnp.2005.083170] [PMID: 17185301] ] Tsui et al. [10Tsui JK, Bhatt M, Calne S, Calne DB. Botulinum toxin in the treatment of writer’s cramp: a double-blind study. Neurology 1993; 43(1): 183-5. [http://dx.doi.org/10.1212/WNL.43.1_Part_1.183] [PMID: 8423882] ] found that 8/12 participants (67%) with pain improved with BTX-A and none with placebo on subjective assessment. Kruisdijk et al. [12Kruisdijk JJ, Koelman JH, Ongerboer de Visser BW, de Haan RJ, Speelman JD. Botulinum toxin for writer’s cramp: a randomised, placebo-controlled trial and 1-year follow-up. J Neurol Neurosurg Psychiatry 2007; 78(3): 264-70. [http://dx.doi.org/10.1136/jnnp.2005.083170] [PMID: 17185301] ] used the SSS to evaluate the direct and indirect symptoms of WC (pain, spasm, weakness, and numbness). Though they did not elaborate on each of these symptoms, the study authors demonstrated a statistically significant improvement in overall symptoms with a mean difference, -2.44 points, (95% CI, -4.52 to -0.37, p= 0.02) favoring BTX-A over placebo from baseline to eight weeks. The intended therapeutic effect of BTX is to create weakness in the antagonist muscles but only to the extent that the dystonic symptoms are reduced. Weakness to the extent that it limits desired hand functions would be considered an adverse event. The three studies [10Tsui JK, Bhatt M, Calne S, Calne DB. Botulinum toxin in the treatment of writer’s cramp: a double-blind study. Neurology 1993; 43(1): 183-5. [http://dx.doi.org/10.1212/WNL.43.1_Part_1.183] [PMID: 8423882] -12Kruisdijk JJ, Koelman JH, Ongerboer de Visser BW, de Haan RJ, Speelman JD. Botulinum toxin for writer’s cramp: a randomised, placebo-controlled trial and 1-year follow-up. J Neurol Neurosurg Psychiatry 2007; 78(3): 264-70. [http://dx.doi.org/10.1136/jnnp.2005.083170] [PMID: 17185301] ] had a total of 50 participants who received BTX-A injections. Overall, 46/50 participants (92%) experienced weakness of the muscles injected, which appeared to be transient with spontaneous recovery. Four out of 29 participants (14%) who received placebo developed weakness. Kruisdijk et al. [12Kruisdijk JJ, Koelman JH, Ongerboer de Visser BW, de Haan RJ, Speelman JD. Botulinum toxin for writer’s cramp: a randomised, placebo-controlled trial and 1-year follow-up. J Neurol Neurosurg Psychiatry 2007; 78(3): 264-70. [http://dx.doi.org/10.1136/jnnp.2005.083170] [PMID: 17185301] ] reported that only 1/20 participants (5%) on BTX-A and 3/19 participants (16%) who received placebo had pain at the injection site. The number of participants in all three studies was small, severely limiting any conclusions that can be drawn from our analysis. Only one study, Cole et al. [11Cole R, Hallett M, Cohen LG. Double-blind trial of botulinum toxin for treatment of focal hand dystonia. Mov Disord 1995; 10(4): 466-71. [http://dx.doi.org/10.1002/mds.870100411] [PMID: 7565828] ] involved musicians and stenographers, a total of four such participants. This review is therefore essentially about WC. A major problem with research on BTX is that the nature of the treatment and the predictability of the weakness may make it impossible to adequately blind participants (and there are also challenges in blinding assessors). There is a need for more and larger studies to evaluate BTX in FHD. In order to detect effect sizes ranging from 0.55 to 0.94 of having favorable outcomes between the intervention group receiving BTX and placebo or alternative treatment (as reported in Kruisdijk et al. [12Kruisdijk JJ, Koelman JH, Ongerboer de Visser BW, de Haan RJ, Speelman JD. Botulinum toxin for writer’s cramp: a randomised, placebo-controlled trial and 1-year follow-up. J Neurol Neurosurg Psychiatry 2007; 78(3): 264-70. [http://dx.doi.org/10.1136/jnnp.2005.083170] [PMID: 17185301] ]) a range of 19 to 53 participants per group needs to be recruited to attain a power of 80% with a type I error of 0.05.